A woman of Indian origin as the next US President? Fifteen years ago, a young American lawyer had a MeToo moment, though not quite in the context of that term's current hashtagged connotation. She cold called the organisation Indian-American Leadership Initiative or IALI, which had been formed just three years earlier to build national support within the community for candidates at all levels of American politics. She contacted the group to inform them that she too was running for district attorney in San Francisco and was Indian-American, a fact many were unaware of. As the United States starts its two-year slog of potential nominees for the post of President trying to make their presence felt, that lawyer has attained a profile that will easily ring a bell: Kamala Harris, US senator from California and possible foe to Donald Trump in his 2020 re-election bid. 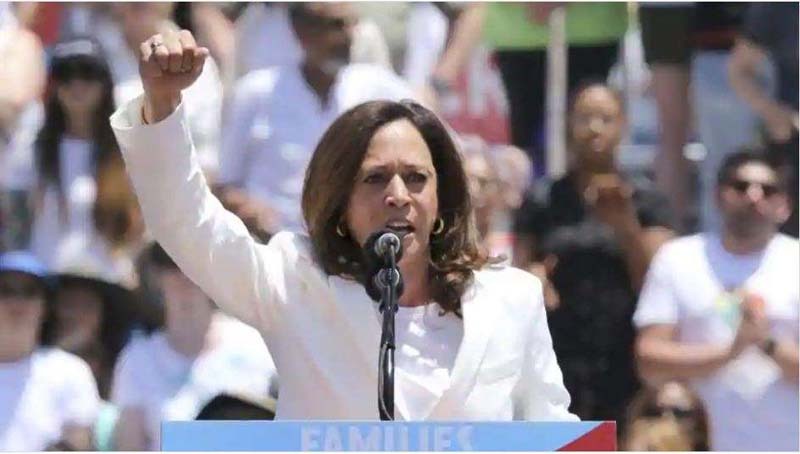 It took five more years for Harris, who was raised by her Tamilian mother, Shyamala, who was separated from her Jamaican-origin father Donald Harris, to get some national face time. That came courtesy her appearance as a surrogate representing a young senator from Illinois attempting to capture the Democratic Party's nomination for the 2008 Presidential run:Barack Obama. Obama achieved that objective, and much more, later, and as the Democratic National Convention was being held in Denver, she attended an IALI event on its margins, a little payback. Obama and Harris obviously have much in common, from their mixed race origin to progressive politics. He once described her as "by far the best looking Attorney General in America", a comment that attracted plenty of criticism at that time, but she will certainly look pretty attractive to many voters after four years of Trump. As the Business Standard reported in a profile when she ran for the Senate, after having been elected the attorney-general of America's largest state, Harris was a frequent flyer to India: from a solemn occasion like taking her mother's ashes for immersion, to merrier ones like haunting Chennai's legendary saree emporium, Nalli. Those trips, though, are no longer the norm, since politics doesn't make for getaways. Her visits these days are more targeted to states like Iowa and South Carolina, both of which hold early primaries, and were instrumental in establishing Obama's stature as a candidate in 2008. Harris is no certainty for the nomination. There are many high-voltage contenders eyeing the chance to take on Trump: A dozen-and-a-half names are already being speculated upon. If Harris has to have a chance, she will need a difference maker to back her. And an endorsement from Obama will be just that tonic, one each of the other contenders is also thirsting for. If she does decide to make the dive into the deepest end of US politics, the senator, once described as the "female Obama", will check a lot of firsts with her profile, but only the original Obama can raise it above the fray. World - U.S. Daily News: A woman of Indian origin as the next US President?